You celebrated your first Father’s Day time new dads! Congrats for making it to the daddy club. You may be exhausted, overwhelmed and still anxious. There will be a ups and downs but mainly ups. If you’re nervous, don’t worry too much. There is only so many ways you can mess up raising a baby. To help you feel a little better, here are some great tips for new dads from Julia Wang, head of digital content at TheBump.com. You’ll sometimes think you made a huge mistake — It’s normal every now and then to secretly wonder why you ever had a kid in the first place. Forgive yourself these occasional moments of self-doubt and, from time to time, let yourself mourn your pre-parenthood life. These moments will be short-lived. Buy a rechargeable, cordless hand vacuum — Much of your time will be spent getting things off the floor. At first, it will be all manner of bodily fluids, but soon enough, you’re going to be dealing with everything from Cheerios to banana slices. Later, the list will grow to include things like glitter, dirt, forgotten bacon and pretty much anything that can be shredded by small hands. And the clunky upright is too annoying to drag out four times a day. It’s perfectly acceptable to make an entire dinner in the microwave. That’s it. Act like a grown-up — One of the most heartbreaking sights is that of a parent and their young child in a shouting match trying to see who can out-tantrum the other. Children are an endless source of joy, but only when they’re not being an endless source of frustration. Breathe deeply and never let yourself escalate to the level of irrational fury that your little one occasionally inhabits. A two-year-old has the right to act like a child; you do not. Hand-me-downs are more than okay — Not only are secondhand baby things easier on the wallet and the environment, it’s a lot less agonizing when you find yourself on the fourth outfit of a craptastic kind of day (which, trust me, you will). Make time for the other relationships in your life — Not only is it important for your child to know there’s more to the world than you catering to their every need, but you’re also teaching them a very important lesson about what it means to have a full, loving life. Seeing you in the role of good friend or devoted spouse is a way for your kids to learn what it means to actually be a good friend or devoted spouse. 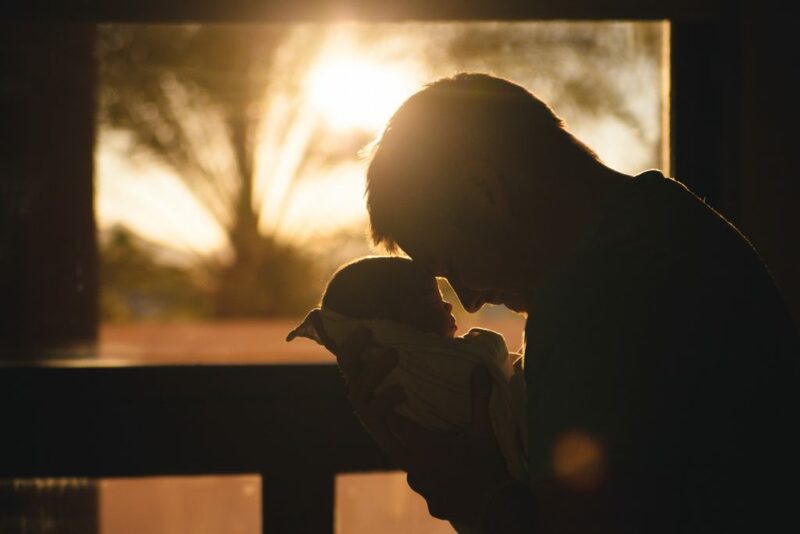 You’re not the “backup parent.” You’re a father — You’re a full, equal partner in turning a small, fragile sack of fluid and bones into a loving, decent, healthy citizen of the Universe. Never let the fact that other people aren’t sure what to do with a man between conception and Little League fool you into thinking that you’re anything less than critical to every step of the process. Be informed, aggressively involved and as in love as you’re capable of letting yourself be. Break a leg, new dads and congrats again!